With Paypal as a payment processor you receive money directly on your with the registration. You are not longer required to chase payments. Sell badges, pins, shirts... directly with the registration to increase revenue of your compeition. They are easily paid for with our direct payment feature. Receive payments immediatetly and don't botter chasing payments anymore. Receive commitment of participants right away. 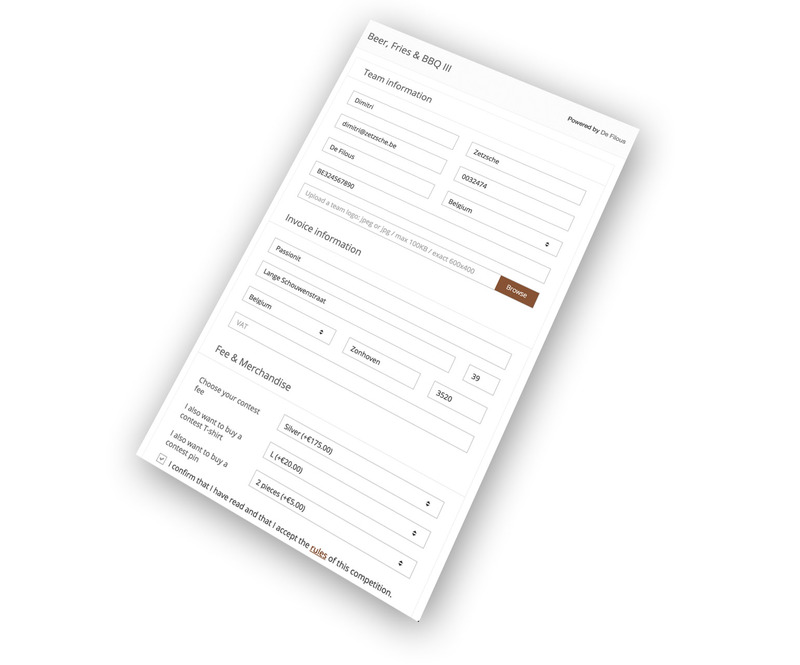 Rollout registration forms with a push on the button. Don't worry anymore about the technical setup. The tool is made fully responsive. Registration can be made and follow up can be done on any kind of device. Our dashboard feature provides organizers with the lastest overview of all the facts and figures regarding their competitions. Directly promote your merchandise in your registration flow. Why should you wait for the day of the contest to create revenue when you can easily do it upfront? 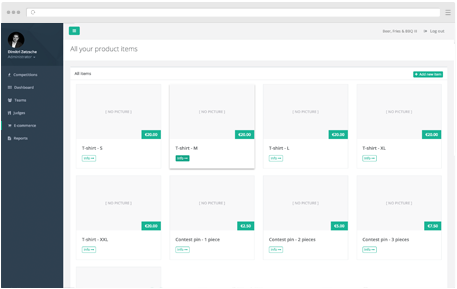 Our tool provide organizers the opportunity to sell merchandise within the registration flow. The payment can be handled immediatetly via our direct payment system. Maximizing your organization’s velocity is a must if you hope to expand your business in this hyper-connected era. Simply, if you delay a transaction, you delay revenue, you may even lose a sale. Paperless processes can help prevent this issue by helping you provide a better, faster, and less expensive service. Teams and judges will appreciate the efficiency of your operation and will reward you with more business. It's important for you as an organizer to receive revenue as soon as possible. Some expenses need to paid for upfront. It's also important to know who is serious about participating and who just signs up to hold a place in your competition. When you commit to deliver a great contest you can't deal with no shows. Asking for an immediate payment of the fee ensures you everyone shows up. 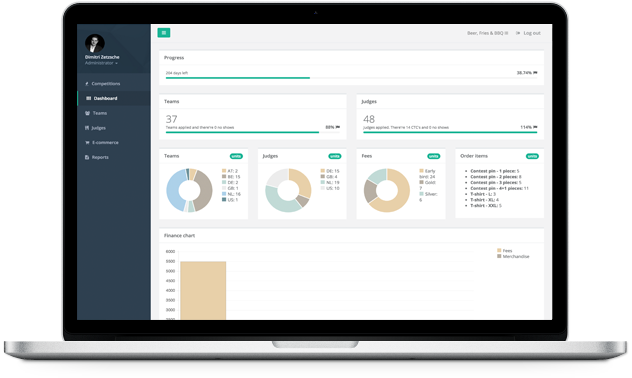 As from the public beta launch organizers noticed the benefit of an online management tool. At this moment we support 9 competitions in 7 European countries. We work hard on new platform feature and improve monthly. Initialy we didn't got the intention to open the platform for public use and tocommercialise it. 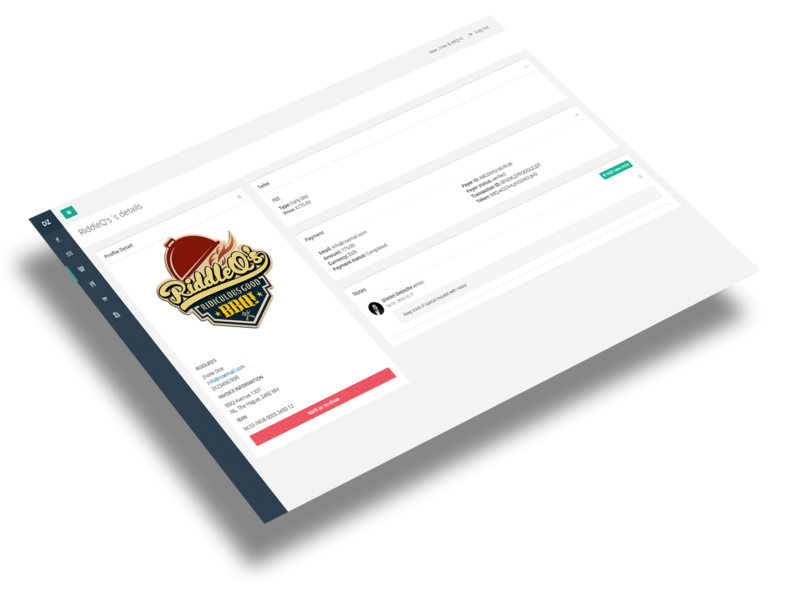 However when we got approached by the organizer of the first KCBS competition in France - Cook in Camargue - we understood the need of a an online management solution for competition organizers. We launched our first publically managed competition mid October 2015. Our first edition of the platform was a closed beta version which we used solely to manage one competition in particular: The Belgian Championship Low and Slow BBQ — Beer, Fries and BBQ. You're talking business now and you want to manage your competition like a pro. You're getting serious about automating and you want the real deal! You're starting a competition and you want to automate. You're the freebie who is not yet convinced. Try our free account. * The organizer must own his own Paypal business account which is free. We can surely help with the setup. ** Feature is not yet finished but will be available soon. Questions? Get in touch, we are looking forward to help you.